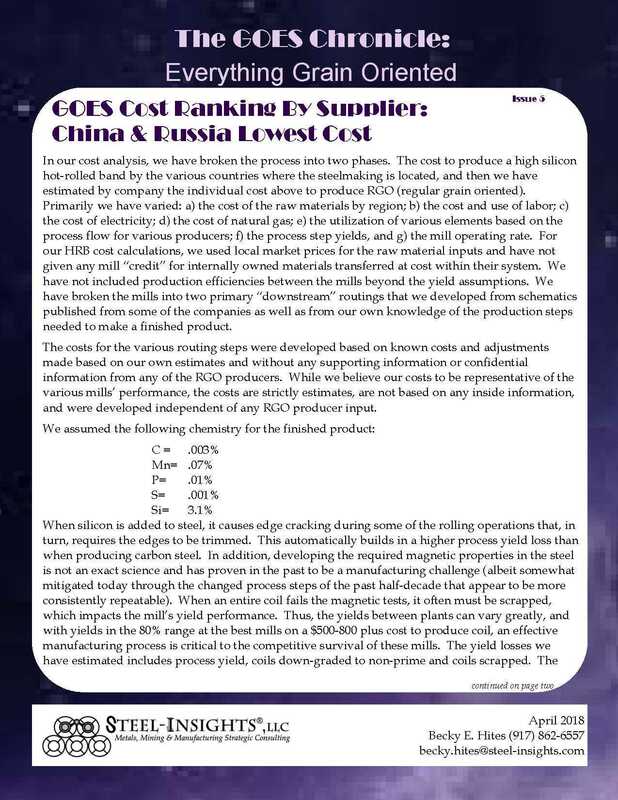 "GOES Cost Ranking By Supplier: China & Russia Lowest Cost" is now available to TGC's subscribers. This newsletter is available on an annual subscription basis for $2,000 per year. Additional GOES offerings include a detailed industry analysis report and quarterly price forecast product. For further details, please contact Becky E. Hites at becky.hites@steel-insights.com.